AlgaeCal Not on Oprah, but Will be on The Next Best Thing! AlgaeCal has reached out to its network of doctors and experts in the bone health industry to write useful and informative content for the Osteoporosis and Bone Health Blog. The blog will feature regular articles and news items on a wide variety of bone health related topics written by a team of industry professionals and activists. The AlgaeCal Bone Health Calculator app is designed to easily monitor an individual’s diet and compare the nutritional value of the foods they have eaten with their personal recommended daily intake levels for the bone supporting nutrients; calcium, magnesium, vitamin K and vitamin D.
AlgaeCal Inc manufactures AlgaeCal Plus, the first bone health product that contains the world’s first credibly certified organic calcium that is a pure plant source of calcium and bone building minerals derived from a unique South American algae. The Results of an independent clinical study investigating the effectiveness of the AlgaeCal® Bone Health Program are proving that a plant calcium supplement can reverse bone loss and help combat osteoporosis. 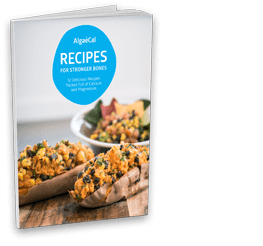 It is important to demonstrate good calcium absorption as we have with AlgaeCal, but the most bio-available calcium is not necessarily going to produce the best bone health. AlgaeCal Plant Calcium – Site devoted to the new AlgaeCal Plant Calcium +D3 product. AlgaeCal Bulk Calcium – Use AlgaeCal plant calcium in your supplement formula.